Yeah, I saw the little tube which is included. I will pick up a new tube of the the "ultra" RTV. In the video I think it only shows the RTV being used at the front and back, and not on the gaskets themselves. Is this correct? I know someone on the forum just uses RTV and no gasket at all. To each his/her own. I guess the beauty of RTV is it will forgive you if your mating surfaces are not perfect. I will check out the gasket when it arrives. I have only been using Felpro for all my gasket and seal needs because y'all talk about them on the forum. I always clean my mating surfaces with brake cleaner or acetone, depending on where they are and whether I can use spray or not. It's interesting how even when you think they're clean, your rag will come away with some residual 'crap" when you wipe them down. I've had RTV not stick because I had left a film of oil or antifreeze on a mating surface. The dowel pieces are such a good idea, since it does seem like it will be a bit awkward setting the thing in place, although some on the forum say it's easy. Oh 96, you say the sweetest things to a girl! 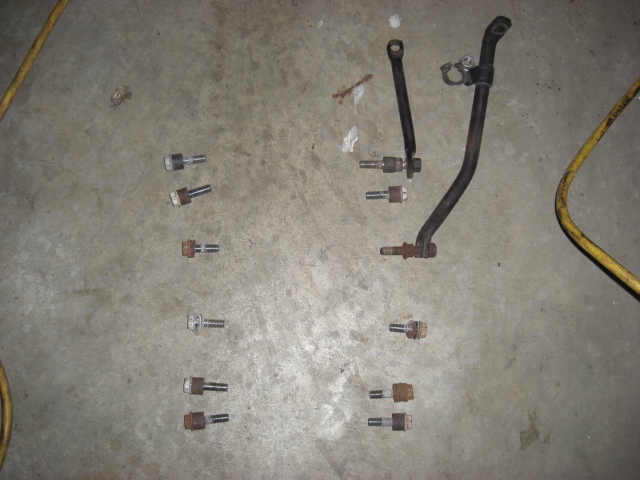 Oh almost forgot; RTV on the ends and just a blob at the gasket ends. And since you'll have alot of stuff already removed for the job just take a minute to remove enough additional to stand inside the front to reduce your reach compared to going over a fender. FelPro makes good gaskets. I use their "printo" line of gaskets for the intake but the one you got should work just fine. FWIW I have always used Permatex Black "ultra" RTV for intake as it has a very high oil resistance to it vs the small tube that comes with the gasket set. Yeah, I went the cut bolt/all thread route when doing this. VM - did the intake RnR about a year ago and documented some of that in this thread. Maybe this will help and give you some ideas of what to expect. Really not a difficult job to do, just take your time and do a few trial runs dropping the manifold in place before using gaskets/RTV just to get a good idea. That little manifold can be bulkier than it looks. As a matter of fact, 4door, printing out that thread was one of the first things I did. I keep a notebook of information I get from the Forum. I have the factory manual, but it is so nice to have the tips and tricks (and hear the faux pas) that y'all have developed/encountered. And the photos are invaluable. I would never have been able to do my Opti if it hadn't been for all the threads about that. And 96 - are you really as little as me, that you can stand "inside" instead of leaning over the fender? When I pulled the in-tank fuel pump on my husband's 1991 Alfa 164 I was able to climb into the trunk to work, which certainly made THAT job easier. Why, I can even fit in the trunk of his Spider! We had to trouble-shoot the trunk light, which was staying on even when the trunk lid was shut. And I can sit inside the engine compartment of our 77 Chev pickup. But squeezing into the Caprice? The thought really never occurred to me. I've read the different methods forum members have come up with, to get the manifold back in place. We'll struggle with that when the time comes. OK. TMI. The advice on positioning the manifold before there's RTV applied is right on. I remember the first time I did the waterpump I was absolutely freaked out about how I was going to get it lined up properly, then discovered it's a piece of cake after you figure it out. I was pretty intimidated by the LT1 until I started getting into it. I was used to working on older, much simpler engines. Vanessa, May I interject here? Lots of good stuff for you. And too, as Bob,96Black, stated, your detailed trouble shooting is refreshing to see. gbhs72: Thanks so much for that! i have downloaded it and when I have more ink for my printer, will hardcopy the entire thing and notebook it. Looking forward to some interesting reading. BTW - I am quite complimented that y'all think me a gearhead. FWIW - one my tricks when I'm working on the car is to use egg cartons to keep all the nuts and bolts straight: I write in the lid what's in the compartment, and when I have a job where replacement sequence is critical I start a list of what I'm taking off, and if there's any nuances involved. Since I get interrupted a lot when I'm working, and my short term memory has pretty much vanished, this has helped enormously. And IF I can remember, I jot down the wrench size, or particular tool that was invaluable for doing the job. 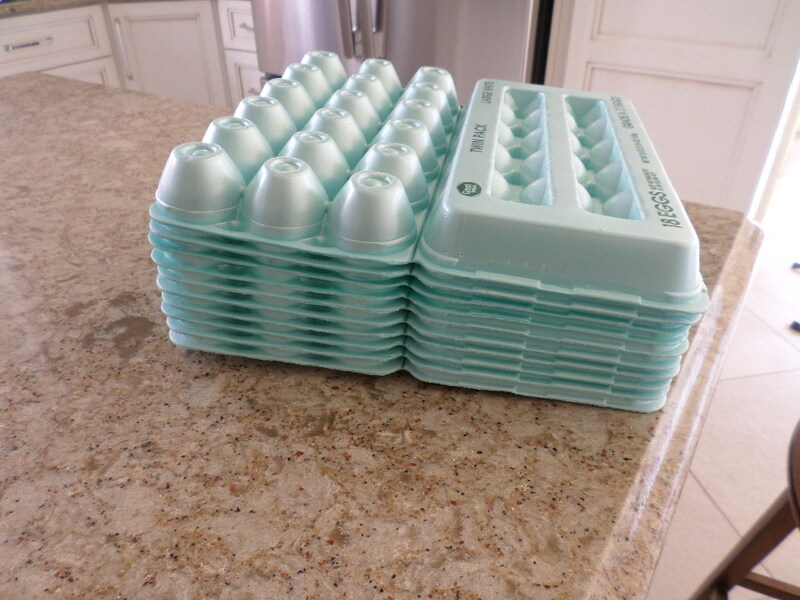 And then I keep my egg cartons for use the next time. I'm not normally an organized person, so don't get any wrong ideas, but when it comes to the car starting and running after I've had my hands on it, this system really works for me. The next thing I need to get together is shooting pictures of things before they come apart. This puppie is growing into stickie-worthy status. Y'all's be getting wise to all the neatest tricks. You can never have too many eggcrates. And yes VM-, in the day of free megapixels you can also never have too many pics documenting your potential screwups. Speaking to which I have another job for ya = MANIFOLD BOLTS! TooMFFun! I noticed you ain't whined about them yet. Yet. And it has to be better accessing things with the top off.